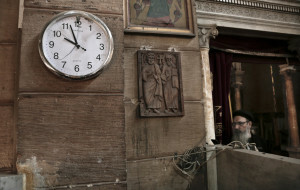 A damaged clock and a Coptic clergyman are at the scene inside the St. Mark's Coptic Orthodox Cathedral complex in Cairo following a bombing Sunday. 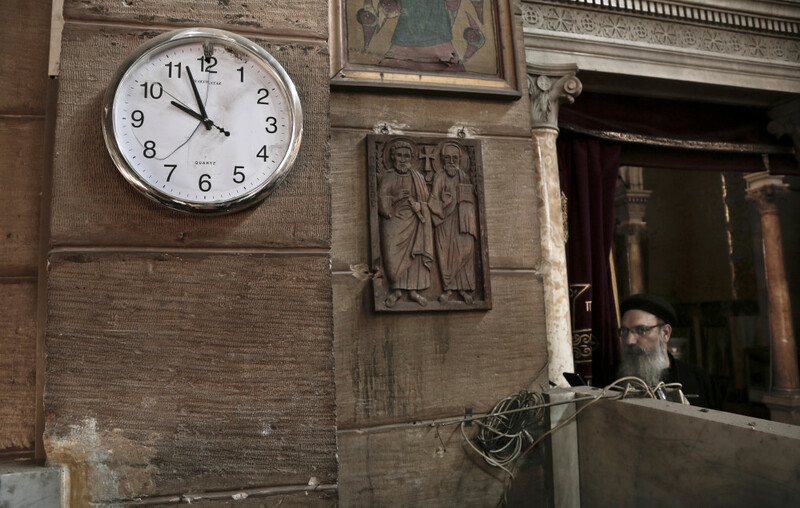 A damaged clock and Coptic clergyman at the scene inside the St. Mark Cathedral in Cairo following a Sunday bombing, Sunday. The blast at Egypt’s main Coptic Christian cathedral killed dozens and wounded many others on Sunday, according to Egyptian state television.